This is one of the fundamental questions that I have asked myself on several occasions in the past. Outside is noisy but inside is hot — should I close the window or burn to death in an inferno? 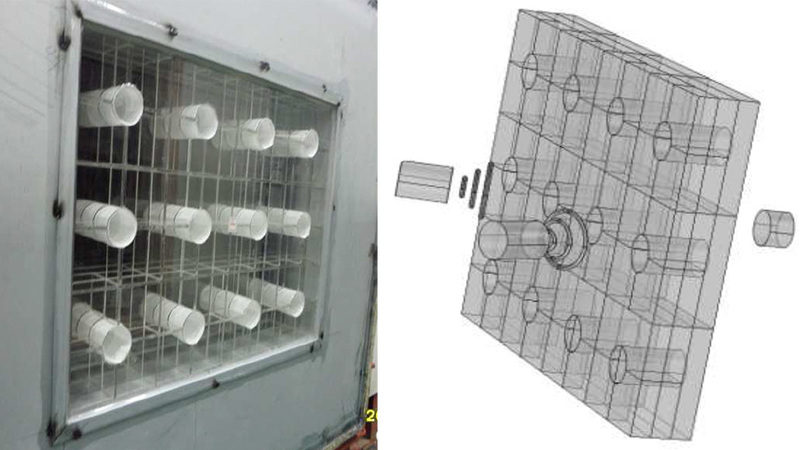 Luckily, according to a Gizmodo report, Seong-Hyun Lee of the Korea Institute of Machinery and Materials and Sang-Hoon Kima at the South Korea Mokpo National Maritime University have developed a window which reduces external noises while still allowing air to pass through. 50mm holes in the window allow for sound to pass through and be attenuated while still allowing air to flow. In addition to household applications there are many possible applications for this type of technology and it could play a major role in reducing noise pollution. It isn’t clear when this window will hit market, if it ever will. But, still — is anyone excited? Let us know in the comments  below!